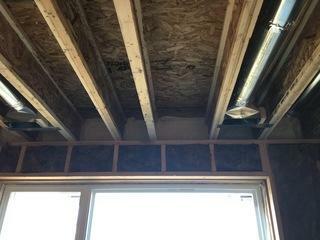 Attic baffles add ventilation to this new home. 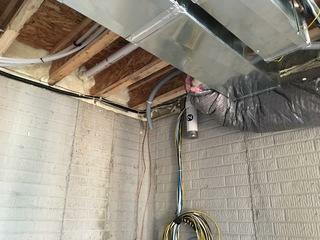 This Waukee, IA homeowner was having a new home built and wanted to keep a handle on future energy costs while also keeping unwanted air filtering through their basement and attic. With experiencing many Iowa winters and summers they wanted to make sure that the heat and conditioned air they were paying for wouldn’t escape from the top of the house. The family wanted to save their expensive, conditioned air, and block outdoor temperatures from slipping in. They decided to give Home Solutions of Iowa a call, and we went right to work! 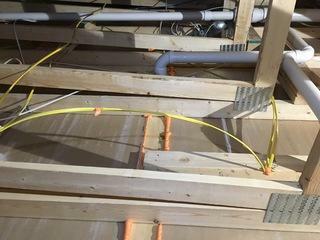 The Rim joist is a cause for air penetration in this newly built home. Seal it and never worry again. First, our Home Comfort Advisor, Tom Anderson, came in to guide the family through their problems with a free home energy evaluation. Knowing most of their energy dilemmas would be due to their attic and basement, we sent our team out to get started. 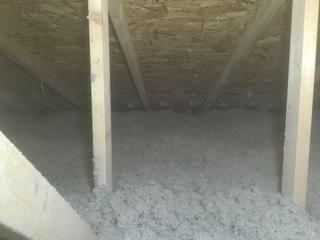 Secondly, we went ahead and added an R49 to the family’s entire attic using our Blown in Attic Insulation. After the attic has been air-sealed to minimize air leaks, it usually takes a day or less to complete an attic insulation upgrade using blown-in cellulose. Although the installation process produces dust (workers wear standard dust masks), it’s not hazardous. 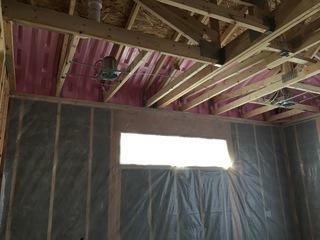 New construction, means new insulation. Take the time to do it right and you will feel comfortable for years to come. Finally, we went ahead and added weatherstripping to the attic door. This weatherstripping ensures to provide a tight covering after each use. This way, unwanted air from the attic won’t slip out from under the door, and it will keep the space airtight. With their attic now properly insulated and air sealed, this family can take comfort in knowing that they’re expensive, paid air is being put to good use, and not being wasted. For your free estimate contact Home Solutions of Iowa today!